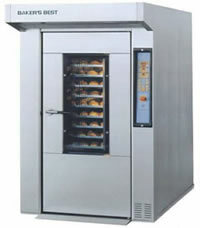 Rack ovens offer many advantages over traditional ovens. One chief advantage is their ability to retain heat, and distribute heat evenly through the entire product area. 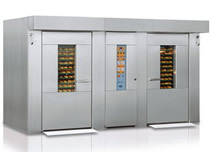 Consistent heat retention and distribution throughout the baking process is the key to a superior end product. 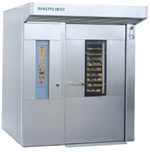 We offer several types of rack ovens to meet all kinds of baking and bakery production needs.